From the 19th of July till the 6th of August I will be on tour through Peru. 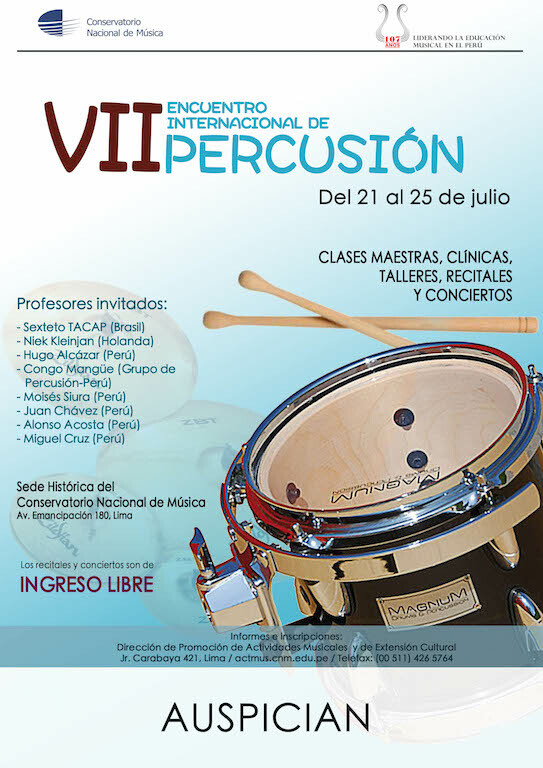 My tour starts in Lima at the VII Encuentro Internacional de Percussion at the Conservatorio Nacional de Música Lima, Peru. During the festival I will give concerts with ensembles, play a solo recital and I will give masterclasses and lessons to music students. After the festival I will head to several cities in Peru, the exact travel schedule is still in the making… Hope to meet nice people over there!